Pure Fun with “the girls” at Gulfstream Park. 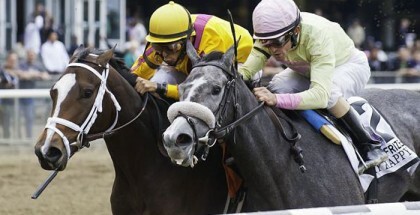 Pure Fun will break from post position #10 in the Coolmore Lexington Stakes on Saturday April 20, 2013. The Coolmore Lexington Stakes takes place this Saturday April 20, 2013 at Keeneland in Lexington, Kentucky. Eleven three-year-old horses are set to take the 1 1/16 mile polytrack field that includes ten colts and one brave filly, Pure Fun. The winner of the Coolmore Stakes not only takes home a $200,000 purse but also 20 points towards their 2013 Kentucky Derby entry. Trainer Ken McPeek’s filly Pure Fun already holds twenty points on the 2013 Kentucky Oaks Leaderboard. She’ll race against the boys on Saturday to potentially stack up a few more points to solidify her entry into the Kentucky Oaks. Pure Fun is the only contender in the 2013 Coolmore Lexington Stakes “Wild Card” race that holds any points on the Kentucky Derby Leaderboard. 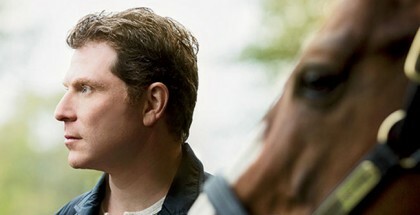 Jockey Rosie Napravnik will lead Pure Fun to the finish line from post position #10. Lady and The Track sat down with trainer Ken McPeek to learn more about Pure Fun. 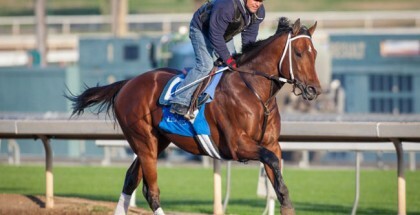 McPeek confirmed he is pointing Pure Fun towards the 2013 Kentucky Oaks with jockey Rosie Napravnik aboard. He seems to think Pure Fun’s biggest challenge in the Oaks will be Todd Pletcher’s Dreaming of Julia. Pure Fun’s nickname around the barn is “sweetheart” because she’s truly a sweet-heart and loves people. Her favorite treats are peppermints. Our guest handicapper this week for the Coolmore Lexington Stakes is Craig Trapp from PicksandParlays.net. 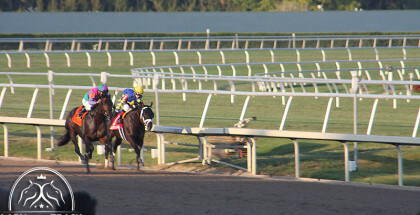 Visit PicksandParlays.net for odds and updates on everything from horse racing to basketball. 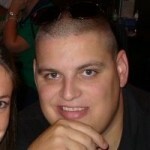 Craig Trapp, picksandparlays.net, is our guest handicapper this week. Craig likes Winning Cause. Lady and The Track would like to wish all of the contenders in the 2013 Coolmore Lexington Stakes the best of luck. Good Luck! Safe Run! Post time for the 2013 Coolmore Lexington Stakes is set for 5:13 PM EDT and is the 9th race of the day. Pick Of The Litter will break from post position #2 in the 2013 Coolmore Lexington Stakes. Pure Fun posing for pictures with the 2013 Ms. Racing Queen contestants. 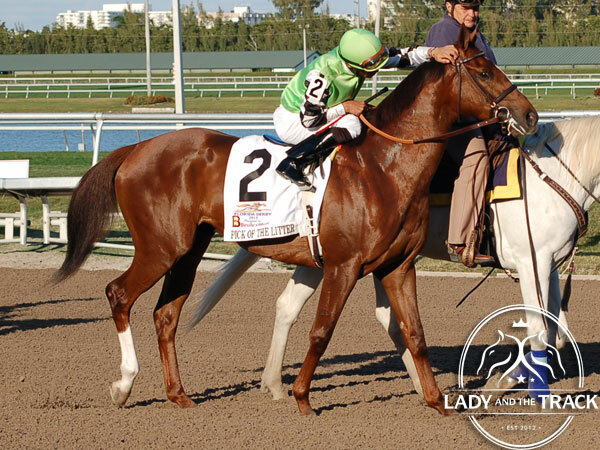 Pure Fun is a strong contender in the 2013 Kentucky Oaks.